Starting from May 1, 2018, Yamdroktso Lake ticket price will increase from CNY 40 to CNY 120 per person. This is 3 times more expensive than before. As a result, this will affect the prices of our futures tour that include Yamdroktso Lake. At an altitude of 4441 meters, Yamdroktso Lake is one of the three holy lakes of Tibet. It is also the closest one to Lhasa among them. Located at the Nangartse County of Shannan Prefecture, it lies around 110 km to the southwest of Lhasa, Tibet. Yamdroktso Lake is 130km long from east to west and 70km broad from north to south. It covers an area of 678 square kilometers with an average depth of 20 to 40 meters. It is usually first seen at Kumba La pass (4700m), with massive massif of Mt Nojin Kangtsang (7191m) in the background. 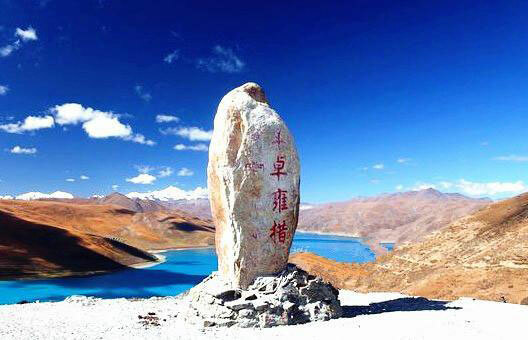 Of the three holy lakes in Tibet (the other two are Namtso Lake & Manasarovar Lake), Yamdroktso is the most accessible because it lies right by the road connecting Lhasa and Gyantse. If you only have a few days in Tibet, Yamdroktso Lake would be an ideal excursion outside Lhasa city. Tibet Travel Expert is always happy to provide Tibet tour options for travelers from all over the world. We can also help you book hotels, flight or trains tickets in Tibet. For more questions, please contact us at [email protected].